General and Cosmetic Dentistry - SMILE AND THE WORLD SMILES WITH YOU. Healthy and happy smiles are the results of proper dental care and regular dental visits. You can achieve an even bigger smile if your dentist is dedicated and friendly. 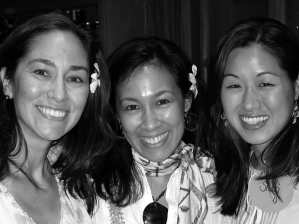 If you need anything from a cleaning to veneers in Kailua, HI, visit the cheerful dentists at Michael Sakuda DDS & Associates. Since he started the business in 1996, Dr. Sakuda and his dentists have provided braces, implants, and veneers in Kailua, HI. Our experienced dental team uses the most advanced technology to provide you with quality dental care. We also strive to make sure you are as comfortable as possible during your visit, and we have a television in every room for that purpose. With these services, we want to give you helpful dental information to guide you as you work for healthy and beautiful teeth. Browse our website for information about specific treatments, and watch our dental videos to increase your knowledge. As you come to us for treatment, check with us about the insurances we accept. If you are worried about paying for the dental work you need, we will be glad to work with you through CareCredit. For crowns or veneers in Kailua, HI, call 808-261-1968 to schedule an appointment. We look forward to getting to know you and your smile on an individual basis! Kailua Dentist, Dr. Michael Sakuda is dedicated to cosmetic dentistry such as Exams, Teeth Whitening, Veneers and more. We are looking forward to your visit to our Kailua, Hawaii dental office.